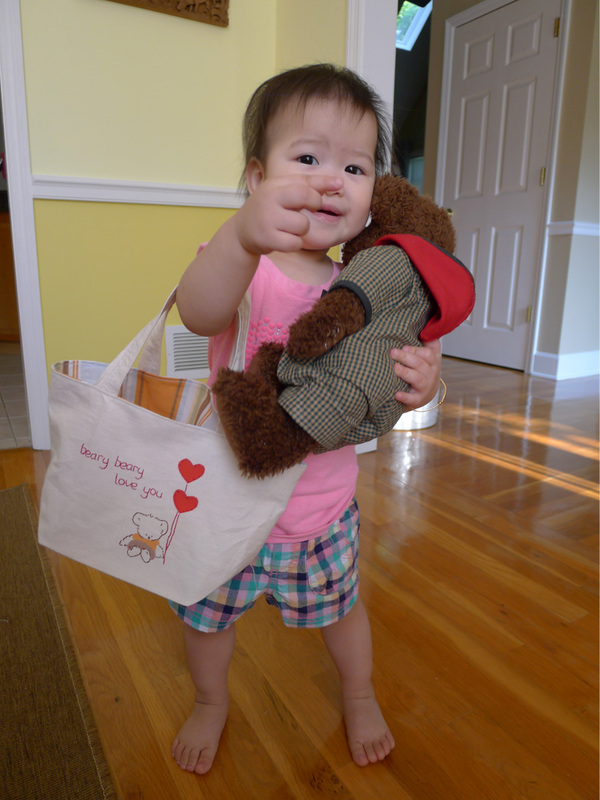 So here come the part 2, sewing tote bag for my little one. If you miss the previous posting, here is the link. 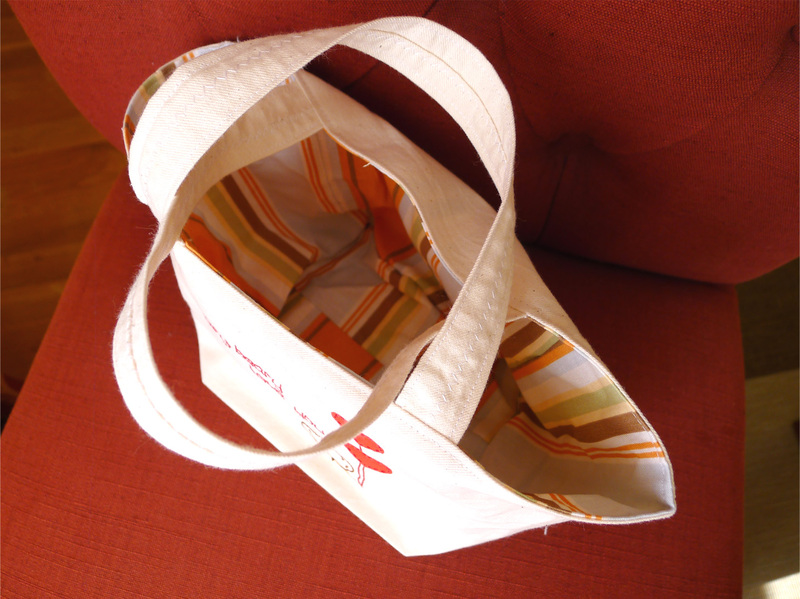 All the materials I used in this project came from my scrap fabric storage therefore the size this tote bag basically based on what scrap fabric size I had. 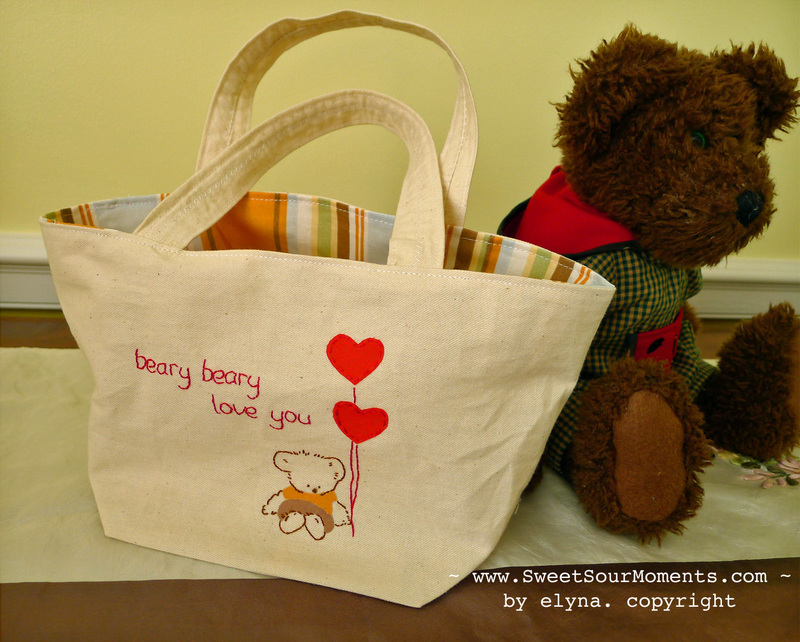 I cut the main (the one with bear embroidery) and lining fabric in 14″ x 18″ including 1/4″ seam allowance, the straps is 1″ wide x 12″ long ( finished size). 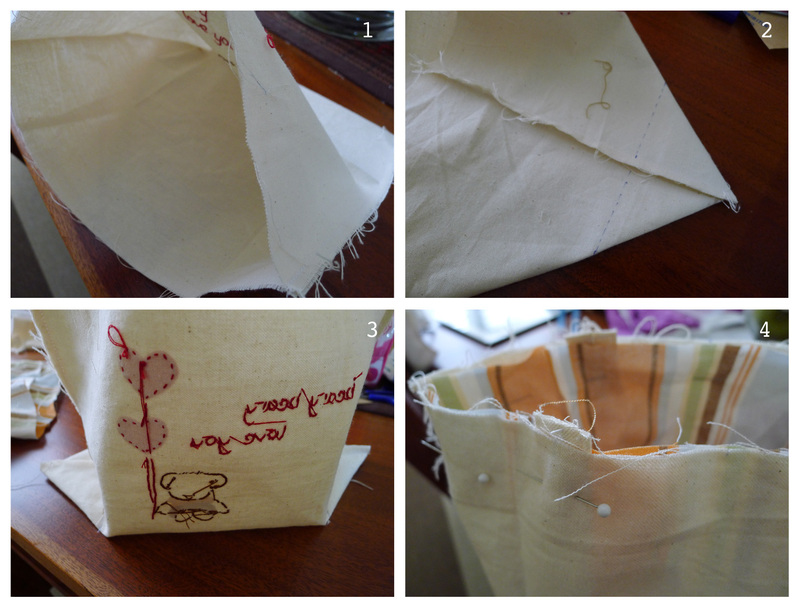 Fold in half and sew the fabric on the longest side with right side facing together. Do the same for the lining. 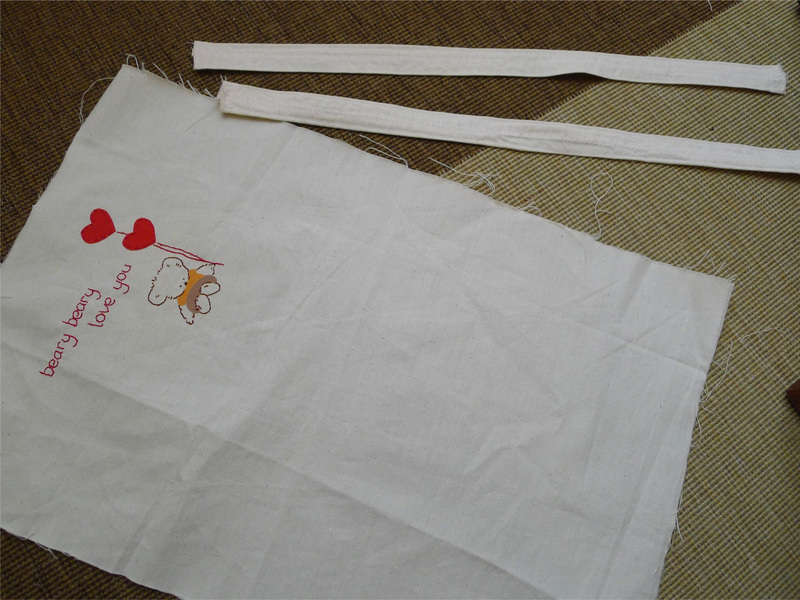 Draw line about 2″ from each corner, sew, then cut the excess. Do the same for the lining. 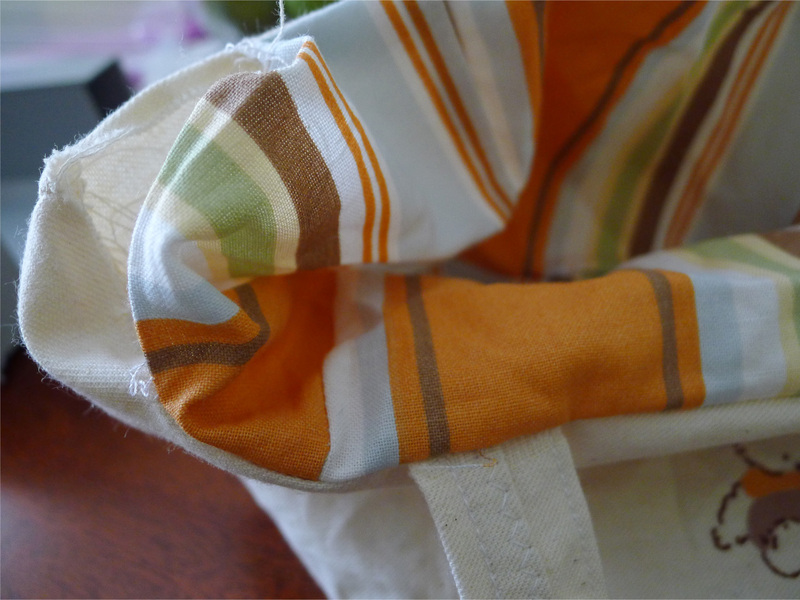 Turn the main fabric and lining with the right side facing together, position each straps about 3″ from edge, sew the top and leave 2″ opening for flipping. This is the picture after I flip it. Sew the top including the opening.